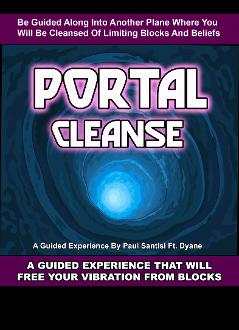 Here is unique VISUAL guided meditation experience called Portal Cleanse featuring cleansing rituals by Dyane. We will enter a portal into another realm full of sights, textures and smells. We will be guided and meet up with a magical fairy that will bless us with protection and remove negative blocks and cleanse our vibration. This audio is unique and unlike anything that you have ever heard. You will love it! Enjoy your experience. You will LOVE what you about to experience.